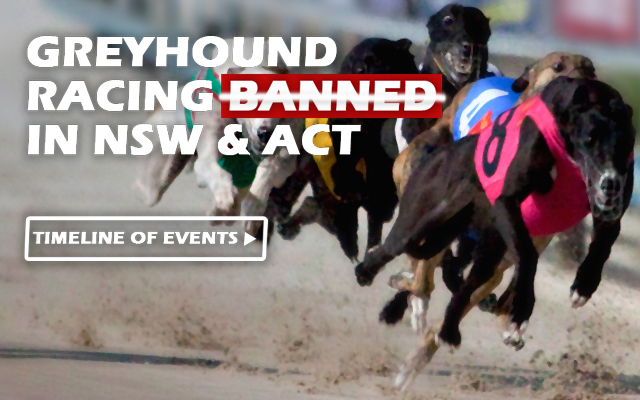 Following the exposure of systemic and ongoing cruelty in the greyhound racing industry across Australia, the ACT Government has announced it will legislate to end to all greyhound racing in the territory by the end of June 2018. This is a great step towards improving animal welfare. We want to make sure the ACT Government and Attorney-General Gordon Ramsay know their decision is supported by the majority of the community, and are acknowledged for standing up for animal welfare.